Cart66 integrates with PayPal Pro and PayPal Express Checkout for merchants based in United States, Canada and United Kingdom. In order to accept credit card payments with PayPal in Cart66 you need to have a PayPal Pro account. (Otherwise, PayPal Express users get redirected to PayPal for checkout). 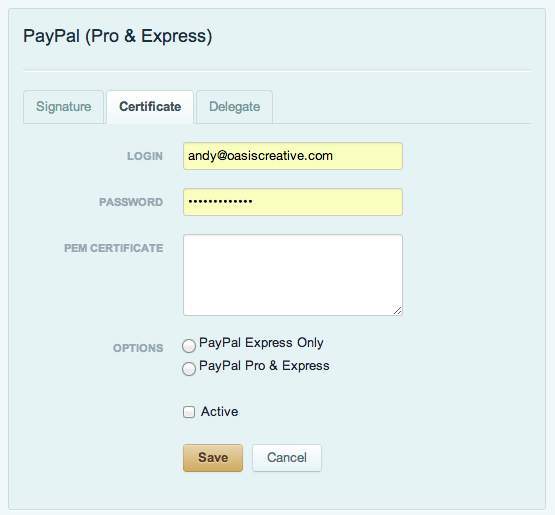 If you only want to accept PayPal Express checkout payments then you do not need a PayPal Pro account. Just make sure you enable Express Checkout in your PayPal account. Please note that recurring billing (Memberships and Subscriptions) in Cart66 requires an on-site credit card payment gateway and will not work with off-site payments like PayPal Express Checkout. There are 3 methods to set up PayPal. 2 for PayPal Pro and 1 for Express. You can read more about all of these here. Click the Profile tab. If you haven't already done so, you need to verify your accountbefore requesting API credentials. Copy and paste the API username, password, and signature into your shopping cart's configuration or administration screen. Complete the process by following your shopping cart's final steps. After you receive your API certificate, download it to your computer. Enter the API username and password into your shopping cart's configuration or administration screen. This is for PayPal Express only. Just enter your email address that you use on the account for the PayPal account you want to use. 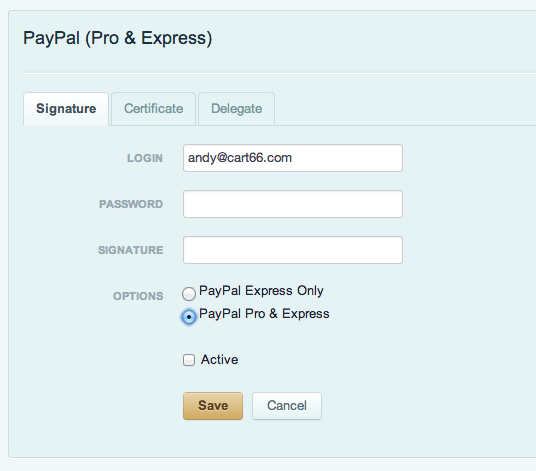 If you use just PayPal Pro, checkout will only show the credit Card fields. 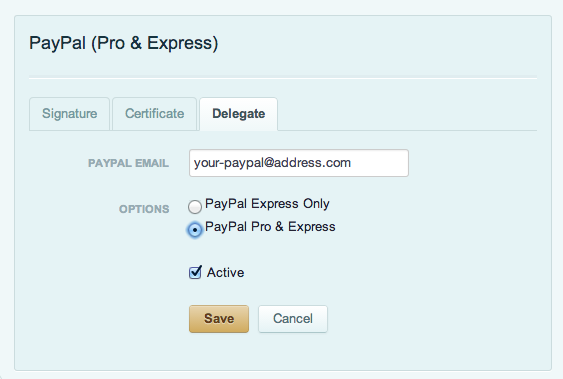 If you use just PayPal Express, checkout will only show the "Pay By PayPal" button. If you use both checkout will show the credit card fields AND checkout will show the "Pay By PayPal" button. If you run into any trouble, delete the entire PayPal Gateway and start over by adding PayPal again.